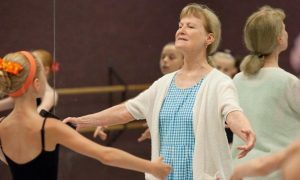 Connie Bellingshausen has taught dance since 1972, giving her over 40 years of experience in creating and executing lesson plans. While she has also taught jazz, tap and even period dancing (including Irish and Scottish dances), her main focus has been ballet. 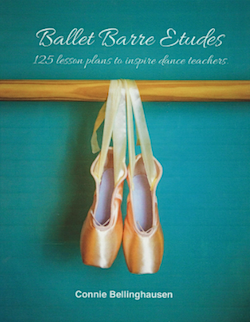 Now, much of her ballet expertise is available to the wider public, as she has published Ballet Barre Etudes: 125 Lesson Plans to Inspire Dance Teachers. For all those dance teachers in need of a go-to resource for those days they didn’t spend as much time preparing their warm-ups, these ballet barre lessons are good sources of inspiration in a moment’s hurry. Dance Informa met Bellingshausen at a dance costume showcase event in September, where she shared information about her new ballet workbook. Here, we catch up with her again to hear a little bit more. Connie, what is your teaching background? “While living in Arkansas, I ran my own studio and taught dance for the University of Central Arkansas. There, I choreographed eight musicals for the theater department, including West Side Story, Pippin, Godspell and Guys and Dolls. While there, the university awarded me for my choreography of King Stag. What led you to publish Ballet Barre Etudes? Out of the 125 lesson plans included in the book, do you have any favorites? 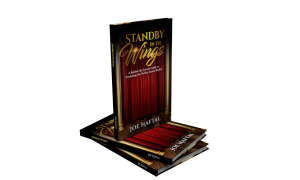 You mention Gail Grant’s book, Technical Manual and Dictionary of Classical Ballet, in the introduction. 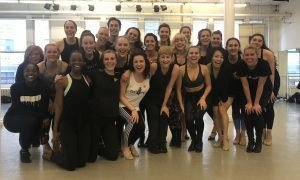 What other dance resources do you recommend to teachers? “I have quite a collection of dance books! When I first started teaching there were hardly any books available. In my collection I have a couple of out of print books. One is The Chalif Text Book of Dancing Book V. The pictures are great and include Harriet Hoctor, Grace Cody, Marley and Adeline Rotty. Lastly, what is your number one piece of advice to other dance teachers/studio owners? To learn more about Ballet Barre Etudes, head to Amazon.